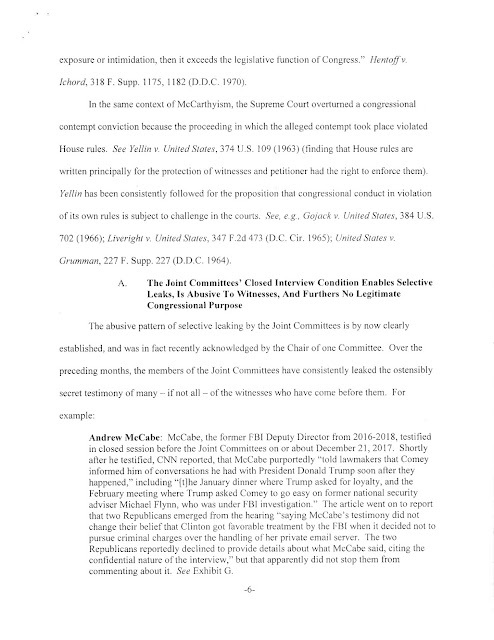 We are firm believers that, when it comes to important legal issues, only the primary source materials should be consulted, and not articles by journalists who may not have a legal education, and are probably not trained in issue perception. 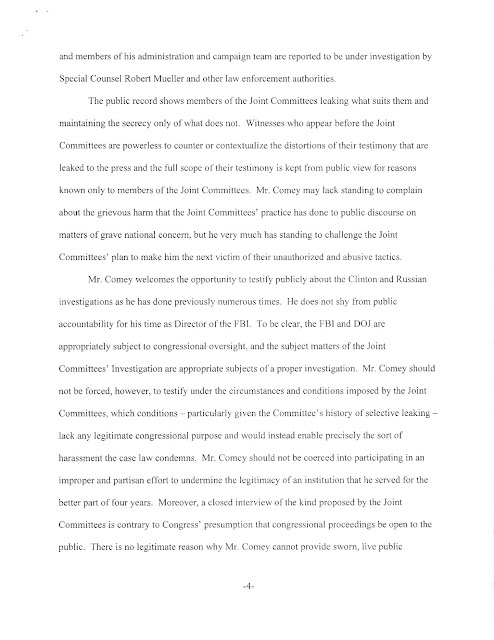 Here is the Argument section from former FBI Director James Comey's attorneys' Motion and Memorandum in Support by James B. Comey to Quash the Congressional Subpoena. 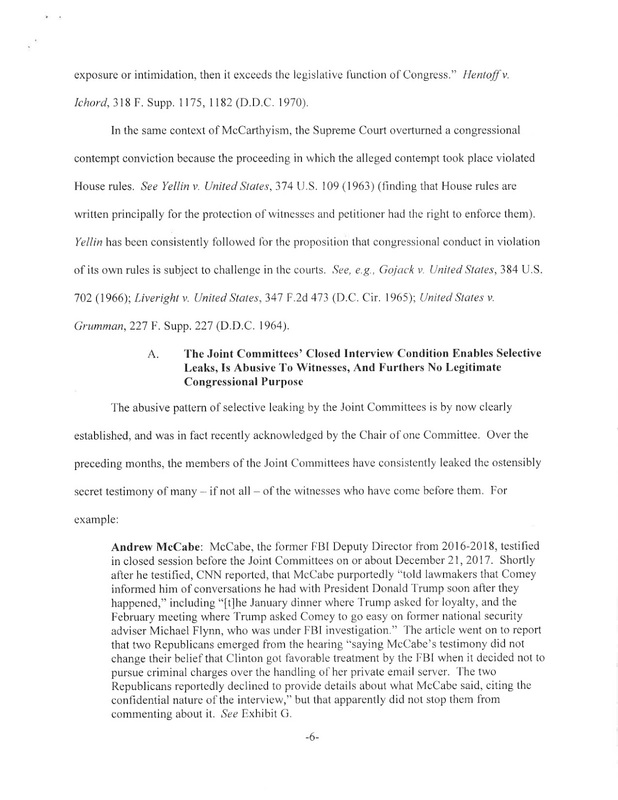 Comey is the subject of an eleventh-hour last ditch effort by the Republican members of the House to take his testimony, in closed session, before January results in the Democrats' accession to majority rule. The articles we have seen on the subject frankly do not do it justice. Buried in the news about German police conducting a major raid and search of Deutsche Bank's Frankfurt headquarters, in connection with a massive money laundering investigation, is the little detail concerning the bank's British Virgin Islands (BVI) subsidiary alleged to service more than nine hundred Deutsche Bank customers, whose transactions totaled €311m. That figure was a quote from the Frankfurt prosecutor's office. 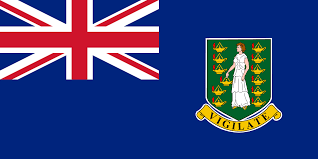 It has gotten to the point where many compliance officers at American financial institutions now regard all BVI entities as high-risk, and readers are advised to decline to open new accounts for such entities, nor to accept client assurances that they are the shareholders, as part of a risk-based compliance program. This is Martin Charles, who was appointed Dominica's Resident Ambassador to the Peoples' Republic of China in March of 2018. Ambassador Charles, who is an insurance agency manager, does not appear to have any educational or vocational training for a diplomatic posting, and the Opposition has questioned his lack of qualifications for such an important assignment. 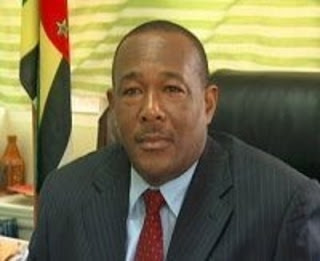 The controversy swirling around Charles' reputed inability to discharge a senior position at the Dominica Embassy has resulted in a statement by Vince Henderson, the Ambassador to the UN, to ask Dominicans to give him an opportunity to see if he can handle the job. None of his biographies list his educational background, and it is doubtful that he holds any degrees. One month before his appointment, Charles, together with Dominica Prime Minister, Roosevelt Skerrit, had a mysterious meeting, on board a luxury yacht berthed off the coast of Grenada, with a Russian billionaire. Given Dominica's extensive participation in seminars in the Peoples' Republic, where Dominica's Citizenship by Investment (CBI) program is avidly marketed, questions regarding sales of CBI passports in China, to foreign nationals, by Charles, are being asked. The Russian national, who is known to hold a Grenada CBI passport, allegedly was seeking to relocate, which explains his meeting with Skerrit, but why was the Ambassador-Designate part of the meeting ? Was he acting on behalf of Russians who were to receive CBI passports through the Dominica Embassy in China ? Was he purchasing passports in bulk, for later delivery ? We hope our readers can shed some light on this mystery. 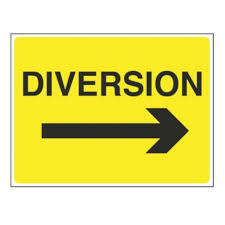 Our email address is posted on the right-hand side of this page. Some politicians have said they will no approve the sale in their countries. These local threats to decline regulatory approval for the sale could result in Scotiabank simply closing those offices in the nine countries, leaving local residents with one less financial institution to assist them in their business, as well as personal, banking activities. This macho posturing will only result in hurting the people these politicians have sworn to represent wisely. The controversial UAE-based CBI developer Montreal Management Consultants Est. 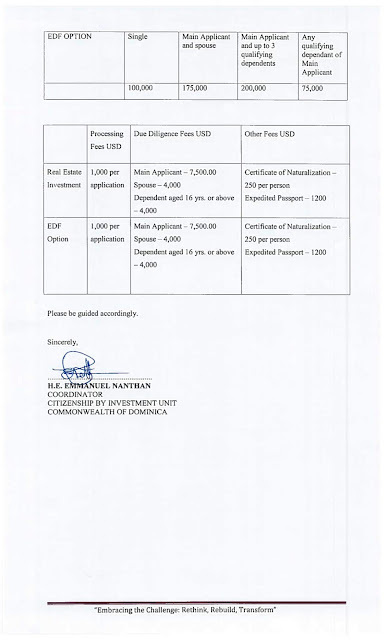 Ltd. has denied statements made by Middle Eastern purchasers of Dominica CBI passports, that MMCE is discounting Dominica CBI passports, but it has declined to open its books to inquiring journalists, so that the truth may be determined. 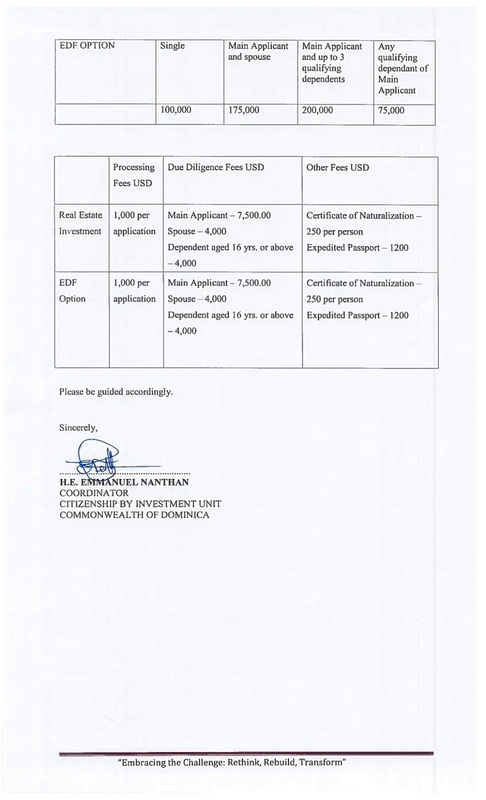 We have previously published an article that attached a letter from the CIU head, critical of CBI consultancies for discounting costs and fees for Dominica CBI passports. The other issue is that MMCE is conveniently building residential units in key areas of Dominica, where seats in the House of Assembly could be considered contested, and the recipients selected to occupy those housing units are, in essence, selling their votes in the upcoming election to the Labour Party and Prime Minister Roosevelt Skerrit. Montreal Management, which is obviously a political ally of the Prime Minister, has sponsored scholarships offers by his wife's charitable entity, the Melissa Skerrit Foundation. 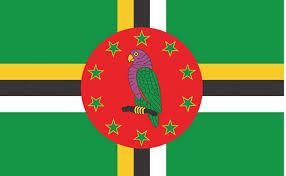 Given the ongoing UK House of Commons committee hearings into the decline of democracy in the Caribbean states that offer Citizenship by Investment (CBI/CIP) programs, through corruption, the illicit purchase of votes, and the fixing of election results, this information about the conduct of government officials, and political party leaders, in the Commonwealth of Dominica, will certainly come to to the attention of the British Government. 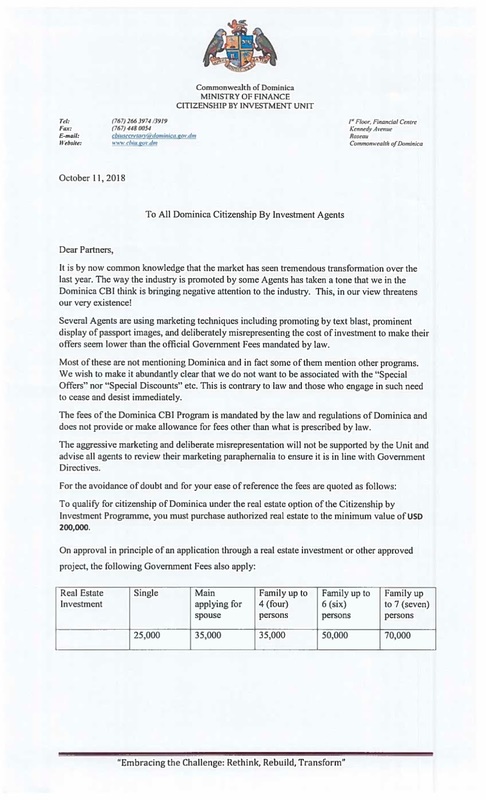 Emmanuel Nanthan, the Coordinator of Dominica's Citizenship by Investment Unit, has notified all the licensed sales agents of the CBI products that many of their sales and marketing ploys are deceptive, dishonest and misleading. Nanthan has ordered them to cease and desist from their dodgy sales tactics. Some sales agents have "discounted" the government fees and costs, while misrepresenting total costs to prospects. Nanthan has firmly stated that there will be no reductions in official fees and costs, and he has appended a detailed fee schedule to his letter, which appears below. The webpage with legible photos is available here. 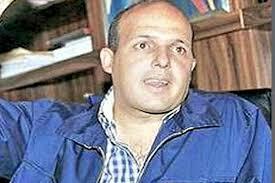 Alejandro Andrade Cadeño the former President of the National Office of the Treasury in Venezuela, and former president of BANDES, Venezuela's national development bank, was sentenced today by a US District Judge in West Palm Beach to ten years in Federal Prison on money laundering charges. He admitted to accepting $1bn in bribes, much of which has been laundered through South Florida real estate. His Plea Agreement can be accessed here. 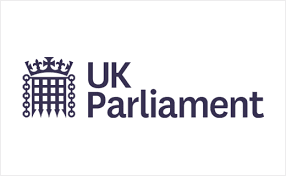 A Grand Committee in the House of Commons, hearing evidence of Disinformation in the East Caribbean, has indicated that it intends to investigate threats to democracy in the region, caused by foreign firms allegedly involved in fixing national elections. Among the firms named are a major CBI consultancy. Questions have been repeatedly raised about the fact that CBI consultancies have created Citizenship by Investment (CBI/CIP) programs, and subsequently appear to have substantial influence over local government in those jurisdictions, in addition to acquiring lucrative contacts as registered sales agents for the CBI product. Close ties between the CBI consultancy and firms allegedly performing statistical work for political parties, in countries where the outcome of national elections seem to have been affected, have been reported, and will be the subject of committee inquiries. The role of powerful CBI consultancies in the East Caribbean states has been a matter of controversy, particularly in those jurisdictions where handsome commissions to agents may have resulted in seriously decreased payouts to governments participating in such programs, meaning that benefits to local residents are minimal. 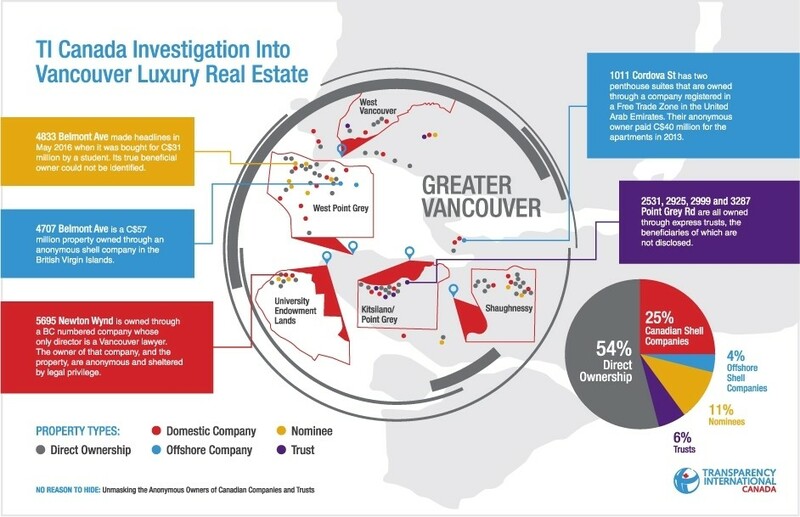 Readers who have been following our articles on Canadian money laundering through real estate will want to read the latest BC study on how Asian organized crime syndicates have been cleaning the proceeds of crime through real estate transactions. The article, which was reportedly taken from a law enforcement study, details how the British Columbia real estate market is the target. The link is below. 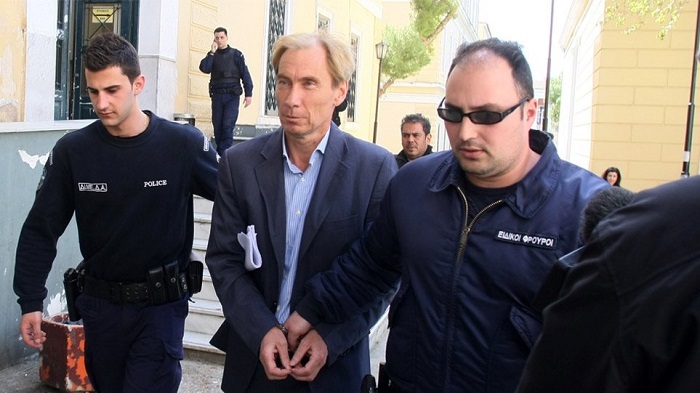 Jean-Claude Oswald, a French banker who was on trial in Athens for money laundering and corruption, has disabled his electronic personal monitoring device, and absconded, following his court appearance. He reportedly fled his residence shortly after being escorted there by local police. Oswald was originally held in custody, but later was released to home confinement (house arrest). Oswald allegedly bribed Greek officials who were seeking to obtain lucrative arms and telecom contracts. He is charged with facilitating payments that exceeded €60m, and funneling them through Swiss banks. He was quoted as having no interest in knowing the Source of Funds of money he was charged with depositing, and claiming that this was an unofficial Swiss banking policy, to facilitate now business. Oswald was extradited to Greece from Abu Dhabi in 2015. 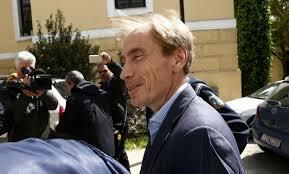 A former officer at BNP Paribas, he reportedly holds Swiss citizenship. Ricardo Alberto and Luis Enrique Martinelli Linares, the sons of the indicted former President of Panama, Ricardo Martinelli, will have a hearing before an Federal Immigration Judge on December 4th. The brothers, whose US visas were revoked in 2017, are in the country illegally, and face immediate deportation to their native Panama. 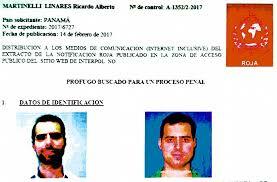 An INTERPOL Red Notice was issued by the Republic of Panama last year. 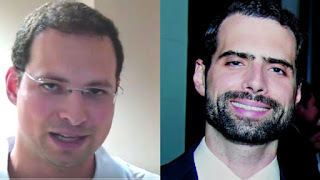 There are reports that the brothers have previously applied for asylum in the United States, but that information has not been publicly released. 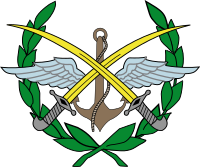 In order to perpetrate the myth that Hezbollah and Iranian Revolutionary Guard Corps (IRGC) troops operating in Syria are members of the Syrian Armed Forces, Damascus has reportedly now issued Syrian national ID cards to the troops in those organizations, under Syrian command and control. How many of those soldiers will end up acquiring Syrian passports is impossible to predict, but armed with them, they could easily apply to any one of the many European or Caribbean Citizenship by Investment (CBI) passports, and gain visa-free entry to the countries of the European Union, Commonwealth of Nations jurisdictions, and many others. Publicly-available statistics show that a large number of Syrian nationals have qualified for, and received CBI passports. 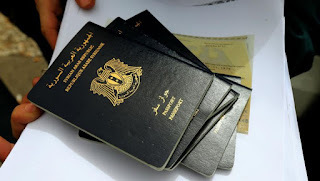 The issuance of Syrian ID cards to members of designated terrorist organizations raises the level of risk that these individuals will obtain CBI passports. We trust that CBI unit chiefs will now reject, out of hand, and without exception, all Syrian applicants, notwithstanding the ongoing refugee problem. 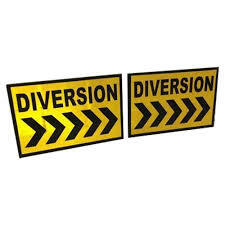 Advice to compliance officers at international banks that are approached by CBI passport holders to open accounts: find out where the applicants were born, and do NOT rely upon the passport or national ID card for that information. The last thing you want to do is to allow a terrorist financier with a CBI passport issued by a European or East Caribbean jurisdiction to open an account in your shop. 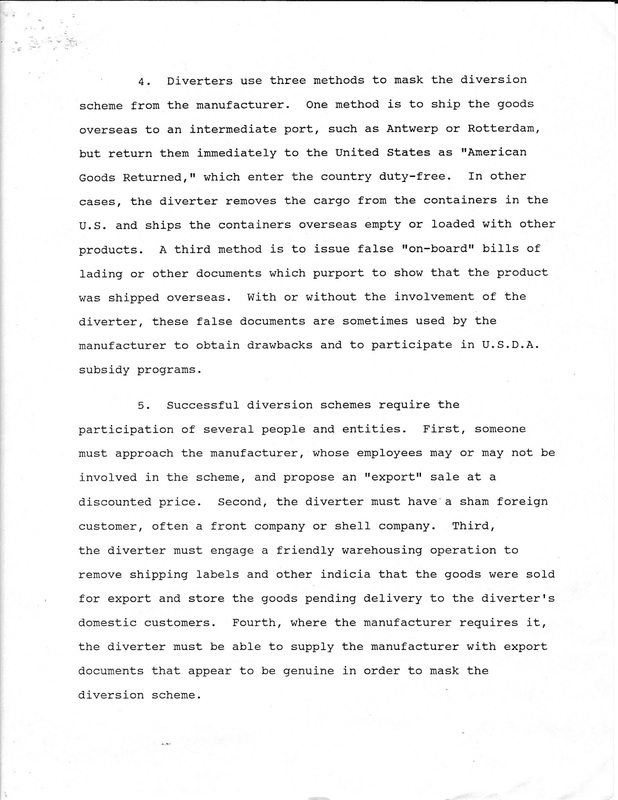 In order to give readers greater insight into the subject, below you will find the introduction to the case where I was first introduced to International Product Diversion. 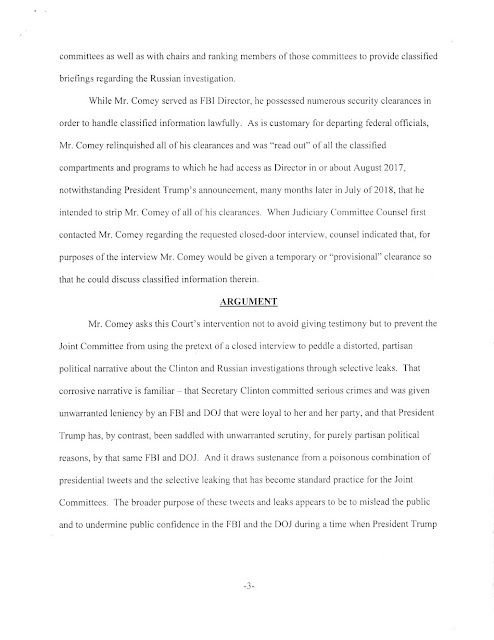 An Assistant US Attorney described the criminal conduct of what must be one of the most obscure crimes in the US Code, to acquaint the Court with the facts. 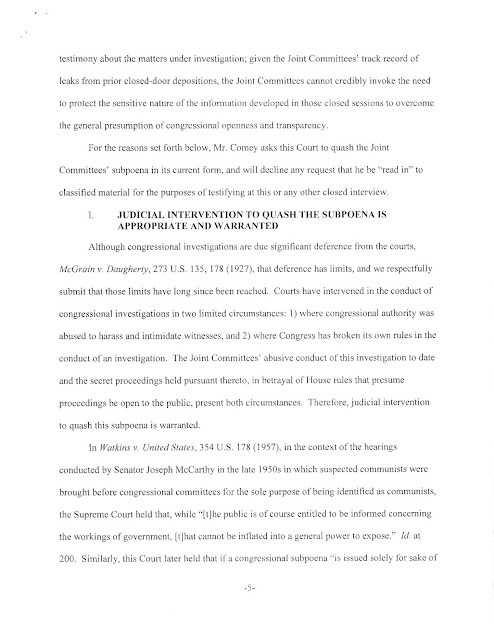 The Information that the case was taken from is not available on PACER. 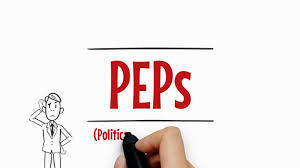 Is your new wealthy prospective client, who claims to be a corporation president abroad, really a Politically Exposed Person, or PEP ? He has all the traditional customer identification documents, plus references, so why should you make further inquiries ? 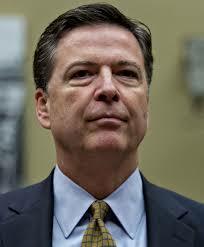 Because he might be a general officer from a corrupt dictatorship, in mufti, the executive director of a major charity located in a country where there is little or no regulatory control, or a purchasing agent for weapons procurement in a banana republic, or the son-in-law of the vice president of an African country, posing as a private businessman. Banking best practices today mean that you must rule out each and every new client for PEP status. Why is this important ? 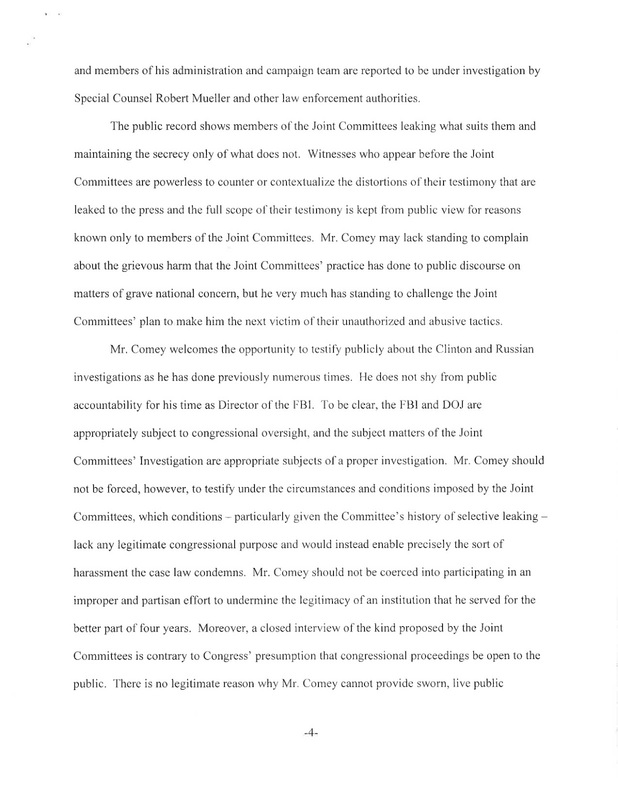 A clever PEP, once you on-board him as a low-risk private citizen from a small company, knows that he will probably not be monitored, allowing him to later move the proceeds of corruption, or of crime, through his accounts long before your front line compliance staff tumbles to the fact that his recent activity does not correspond to the information he supplied you at account opening. No bank wants to be exposed to regulatory civil fines and penalties issued under a Consent Order; if you fail to catch a number of PEPs, you might be facing one. 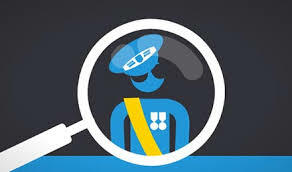 Some compliance officers use software that searches social media sites to expose hidden PEPs, but that method has a major disadvantage: it assumes that the name on your target's presented passport, his drivers' license and other purportedly government-issued photo identification is his true name. 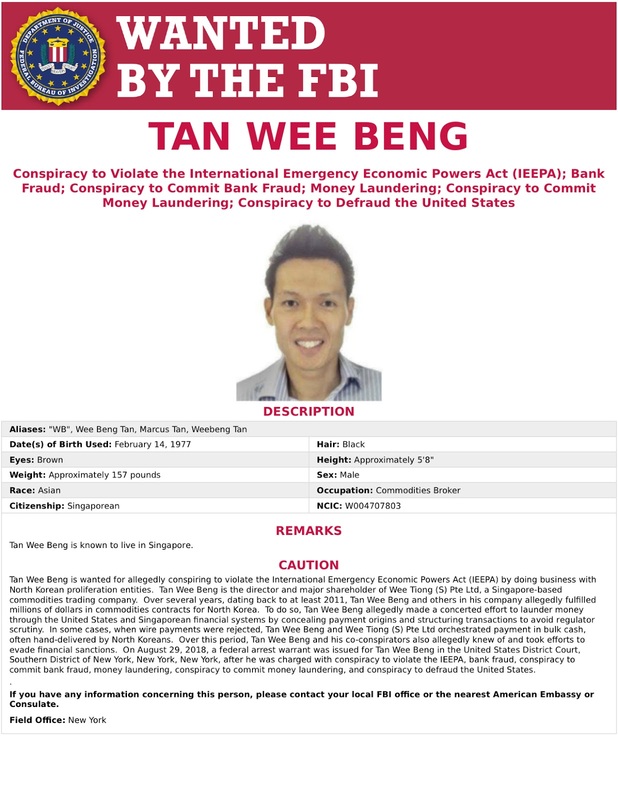 What if it is a cleverly crafted alias, or an intentional modification of his full name ? That method can fail, especially if the target's IT people have already populated social media with entries containing his alias. The only accurate method of identifying, and unmasking, your target as a PEP is to employ a facial recognition software system that accesses not only social media and social networking sites, but other cloud-based, web-based and proprietary database image resources. Because, even if the target has had "reputation management professionals" remove his original (and incriminating) social media sites, and plant new ones with the alias, facial recognition software will locate and return images that the target is not aware exist, and older sites that either the target has forgotten, or which cannot be altered or removed. Also, his IT help cannot remove entries that they do not find. 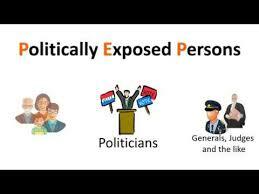 The goal is to first identify your target, and then to learn whether the evidence establishes him as a Politically Exposed Person; you can do both by using a facial recognition software platform, which alone is the solution to PEP issues. While have been busy discussing the reluctance of the Government of the Cayman Islands to build a Public Register of beneficial owners of corporations, saying that it is waiting for other jurisdictions to follow, the recent actions of Greece show is that governments can, and do, take information public without being ordered to do so. Greek anti-money laundering agencies have announced that they are creating a public register of non-governmental organizations (NGOs), many of whom are "charities." It will contain all NGOs active in Greece, not just those domiciled there; the program is being directed by the Deputy Prosecutor Assigned to the country's Supreme Court. Apparently, the current situation assigns NGO enforcement to the government ministry involved in the activity the NGO is engaged in, and that arrangement is not suppressing NGO participation in money laundering, human trafficking, violation of immigration laws, forgery, and aiding smugglers, and even espionage charges. We hope and trust that the register contains the names and addresses of all NGO officers, advisors, board of directors, the executive director, division managers, and supervisors. With that list, compliance officers can access personal identification data, including photographs, to conduct EDD of NGO officials. 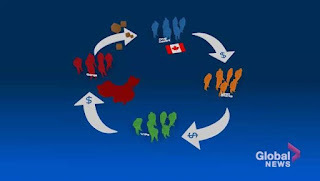 SHOULD THE EU ADOPT CANADA'S TURN-IN-A-MONEY-LAUNDERER PROGRAM ? It can be argued that the European Union is losing its war on money laundering. Between the laundrymen obtaining CBI passports from Malta, Cyprus and the East Caribbean, to the Swiss banks operating their efficient laundromats from a safe haven outside EU jurisdiction, to dirty money from Africa, Asia and the Middle East flowing into the UK, Germany, Austria, and several other EU member countries, things are not improving; Things are actually getting worse. Perhaps it is time to be proactive. Legitimate businessmen know that successful money laundering raises the prices of real estate, limited supply luxury goods, damages a country's reputation as a known money laundering center, which discourages foreign investment, and taints government officials scorched with the twins of corruption, bribes & kickbacks. Narcotics manufactured in China and smuggled into British Colombia are resulting into Canada's own opioid overdose crisis. 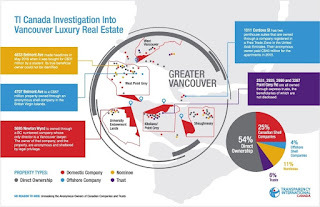 The Canadian Province of British Columbia has directly engaged with its citizens, many of whom are sick and tired of reading about Asian organized crime members (Triads) purchasing large amounts of real estate in their neighborhoods, elevating home prices to where many residents cannot find a reasonably-priced home for purchase. They are laundering the money through casinos, which are not reporting any of the illicit transactions to regulators or law enforcement, and they are also using horse racing and luxury automobile purchases to clean their drug cash.Known as the "Vancouver Model,"
money laundering in BC is out of control, and has not been suppressed thus far by local law enforcement action. Enter the "Turn-in-a-Money Launderer" program. It allows Canadians to anonymously report suspected money laundering operations, without disclosing their identities if they wish. Using the "Money Laundering Tip Portal, " they can directly pass information along to the Government of British Columbia. It is part of a BC program known as "Get Involved," which encourages local input on several issues, but is handled separately, to protect the informants and their information. Should the European Union adopt this aggressive program ? 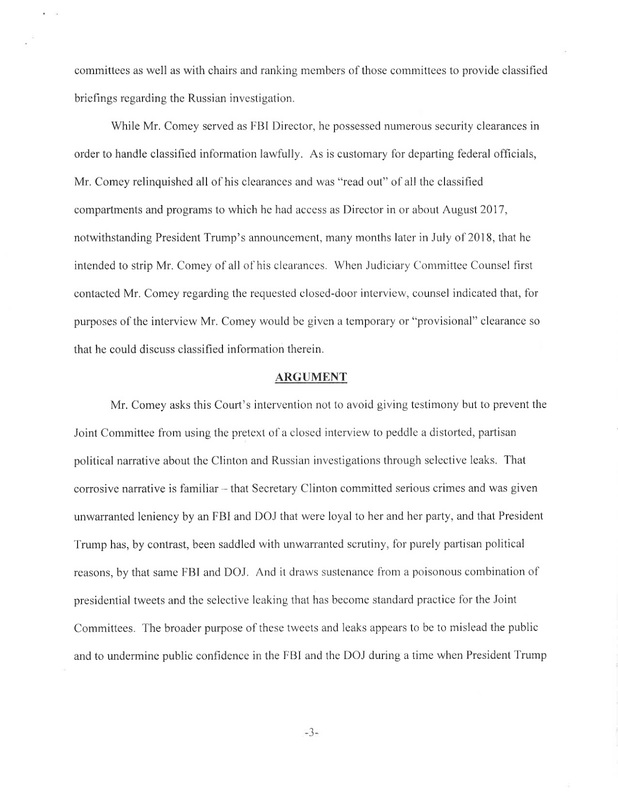 Note that the BC program asks only for the methods and modes of operation; it allows the informant to identify the operation without naming the money launderer, though his or her identity can be easily ascertained, given the information supplied. Thus, any EU privacy issues, regarding the names of suspects, are artfully avoided. 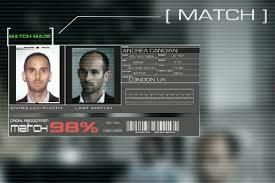 Law enforcement agencies, armed with the information, then identify the subject laundryman, quickly obtain his photograph, and then confirm his identity, or expose his true name, using social media resources accessed through facial recognition software systems. They conduct surveillance on the money laundering pipeline, and suppress it through subsequent arrests and seizures of assets. I am sure the good people of Malta and elsewhere in the European Union, would welcome such a chance to take a bite out of crime. We hope the European Commission will consider taking such action. A number of American investors have purchased millions, at face value, of the nearly-worthless Iraqi Dinar (IQD), reportedly based upon a vague statement made by President Donald Trump regarding upgrading foreign currencies. There does not appear to be any basis in fact for this wave of foolish speculation, but it continues. 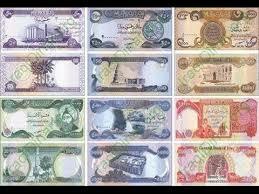 Today one US Dollar = 1190 Iraqi Dinars. Most bankers are are aware of domestic product diversion, where produce being shipped from Florida to Arkansas is diverted to New York or Los Angeles where it will command a higher price, or where luxury goods that are supposed to be sold only in premium shops are diverted, and sold, at a price below the customary retail price, in big box stores. 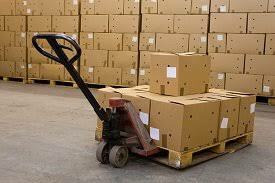 International product diversion is another matter, and in many instances, it constitutes criminal activity. 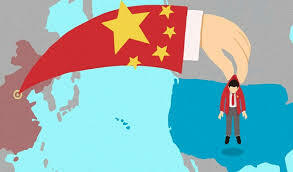 A Fortune 500 company, anxious to develop a new foreign market for its product, will export it to a local wholesaler, at a bargain level price, stripped of all marketing, and advertising costs, just to create demand for the product in a new region. Also, products that are close to their listed expiration date may be quickly shipped overseas at a greatly reduced price, just so the manufacturer can recover its costs, before the product is no longer eligible for retail sale to consumers. Criminals are aware of this practice; they set up shell companies, charities, bogus educational entities, all to entice large manufacturers to sell them their products at extremely low versions of the price they go for in the United States. Then, they perform one of these operations. (1) They arrange for the goods, already shipped abroad, to be returned to the US, by diverting them at an intermediate port, and quietly sell them here for the full domestic rate. The interesting thing about this maneuver is that they come in as "Returned US goods" free of duty. Some call this a U-Turn. 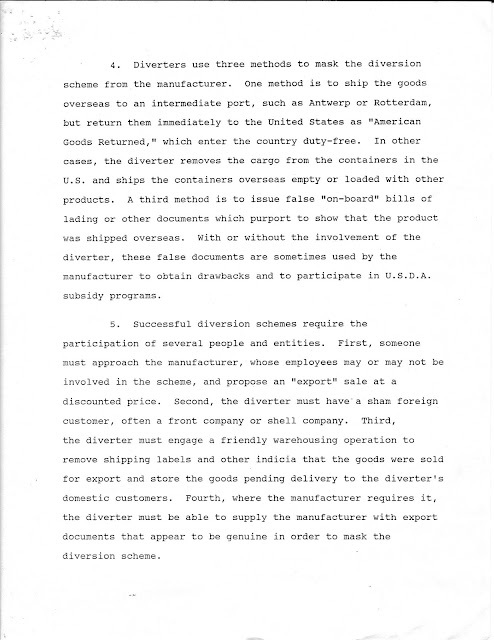 (2) They totally fail to export the goods, covertly substituting a worthless item of similar weight at the US port, and keeping and selling the goods here.This, of course requires the assistance of either corrupt warehouse staff or other co-conspirators to divers and/or relabel the packages containing the rewal goods, in order to to spirit away for domestic sale. (3) They sell only a small portion of the goods abroad, and return the vast majority of the product to the US, where it commands a premium price. 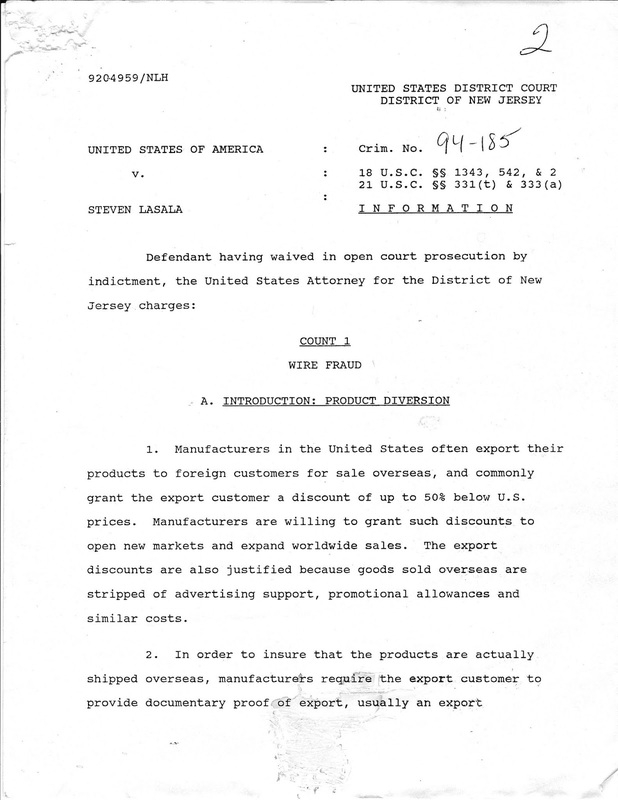 Some US-manufactured goods use foreign raw materials, and Customs rewards manufacturers who export finished US products using them by granting rebates on duties paid for the raw materials; these are called Drawbacks, and when criminal elements illegally return goods where Customs has paid Drawbacks, they are guilty of defrauding the United States, in addition to all the false statements and false record keeping offenses that they have committed by altering the shipping documents. Money launderers, who need to repatriate criminal profits earned outside the United States, and in the process render them clean, have been known to participate in international product diversion, in order cleanly move their money inbound. 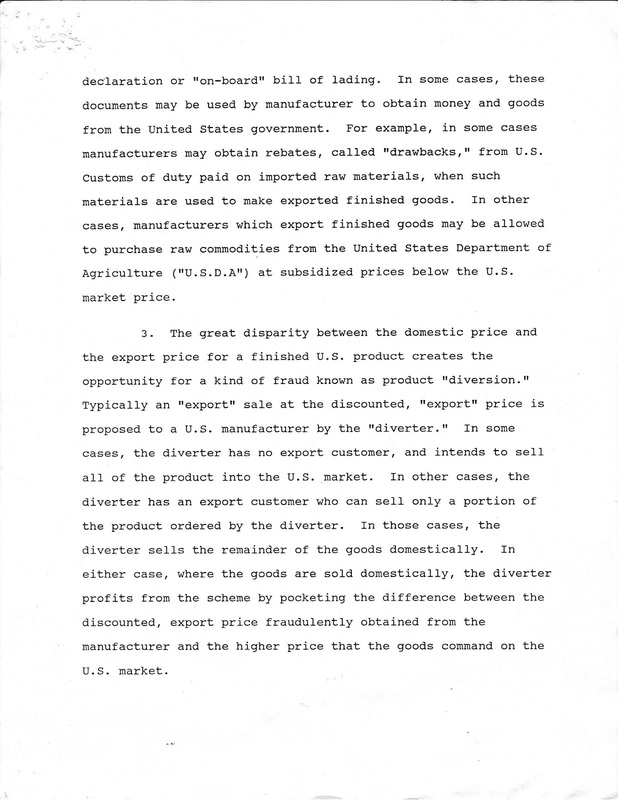 Unfortunately, most compliance officers, unless their bank clients are engaged in international trade, are unfamiliar with international product diversion, and even those are generally not aware that laundrymen are using those methods, sending payment for those good in from overseas, without arousing suspicion, and then actually earning a handsome profit on their "investment" when they resell the goods inside the Continental United States. 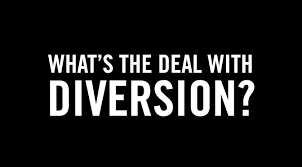 Along with trade-based money laundering, the education of compliance staff about international product diversion should be a priority . 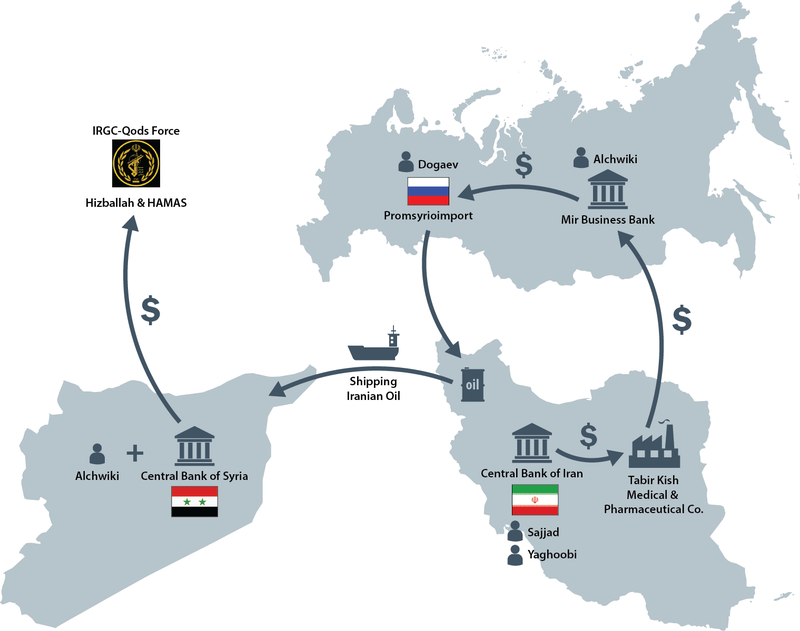 OFAC has imposed sanctions upon Iranian and Russian entities that are providing financial support to Hamas, Hezbollah and IRGC, through shipments of Iranian oil to Syria, the sales of which generate funds. The central players are Syrian national Mohammad Amer Alchwiki, the Russian-based corporation Global Vision group, the state-owned Russian company Promsyrioimport, Mir Business Bank and the Iranian Tadbor Kish medical and Pharmaceutical Company. Kindly refer to the OFAC website for details. 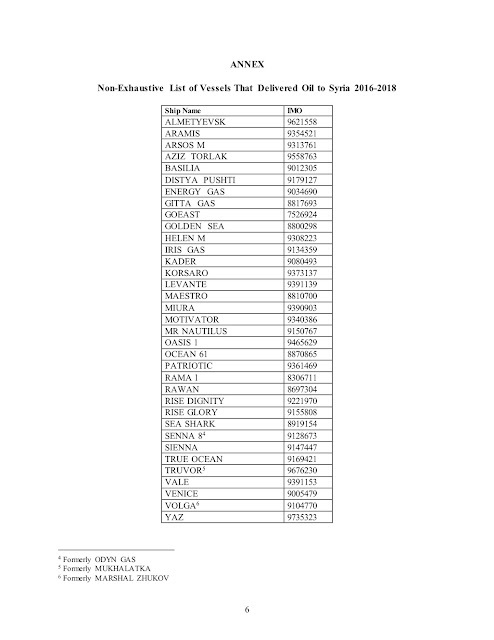 Treasury has issued an Advisory, regarding vessels that have delivered Iranian oil to Syria by this syndicate, and we are publishing it here for the benefit of compliance officers with maritime clients. 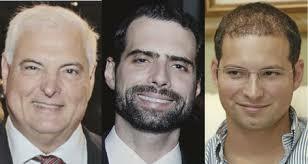 Immigration and Customs Enforcement (ICE) arrested the two sons of former Panamanian President Ricardo Martinelli, Luis Enrique Martinelli Linares and Ricardo Alberto Martinelli Linares, in Coral Gables, Florida, where they have been living since not long after their their father left office. The brothers' US visas were cancelled in 2017, and they are subject to deportation proceedings, which local media has stated will commence at a hearing to take place next Monday. The Republic of Panama has caused INTERPOL Red Notices to be issued against the Martinelli sons, in connection with their alleged receipt of $49m in bribes and kickbacks from the Brazilian construction giant, Odebrecht. 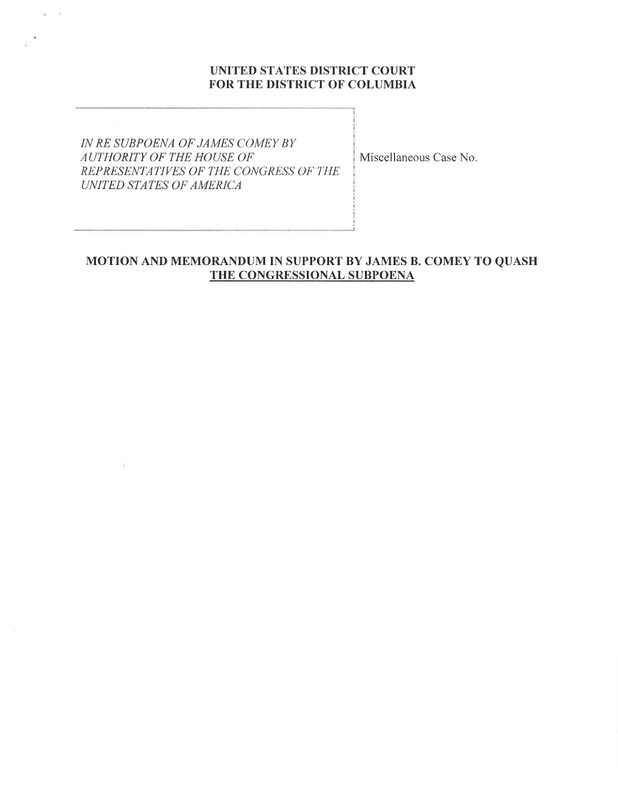 Rather than endure the extended nature of extradition proceedings, including any possible civil appeal solely for the purposes of delay, as their father unsuccessfully attempted himself earlier this year, justice could be more quickly served by deportation, as they are currently in the United States illegally. Local newsreel footage showed that the brothers had berthed a luxury yacht at their disposal behind their home, with ocean access. It was reportedly stocked with food and supplies, as if they were intending to flee the United States. There has been no information released regarding whether any cash or financial instruments was seized, whether in their residence, or on the yacht. The brothers have been accused in Panama of conducting a money laundering operation with bribe money. Attorneys for Mehmet Hakan Atilla, the Halkbank Deputy General Manager who was convicted the Reza Zarrab oil sanctions evasion case in US District Court in New York, have filed their Brief of Appellant in the Second Circuit. His counsel has asserted that the trial court committed a number of reversible errors. 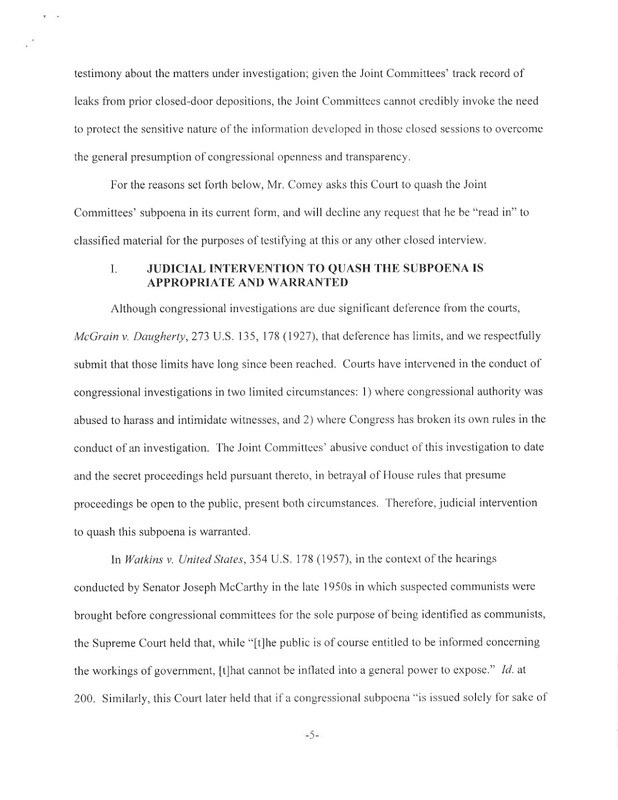 (1) The Jury Instruction that stated the jury could convict Atilla of Conspiring to violate the IEPPA if it found that he conspired to evade or avoid the imposition of secoRdary sanctions. (2) The IEEPA does not criminalize conspiracies to evade or avoid secondary sanctions. (3) The appellant is entitled to a new trial on the jury instructions about the IEEPA. (4) The Government presented no evidence the appellant would involve US banks. 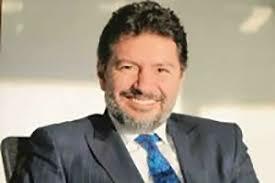 (5) It was error for the Court to refuse to admit Zarrab's statements to Atilla, and his jailhouse conversations, which proved bias. Atilla's Federal Prison Presumptive Release Date is July 25, 2019, and the appeal will probably still be pending on that date. If his conviction is reversed, he most likely will have already served his entire sentence. * IEEPA: International Emergency Economic Powers Act authorizes the President of the United States to regulate commerce, after declaring a national emergency, in response to any unusual or extraordinary threat to the US from a foreign source. HOW MANY HOLDERS OF MALTA'S CBI PASSPORTS ARE LINKED TO THE MALAYSIAN 1MDB SCANDAL ? Since the world's media continues to pay rapt attention to Malaysia's massive 1MDB scandal, the question has come up regarding just how many individuals allegedly involved in the theft of the $4bn from the fund hold Citizenship by investment (CBI) passports issued by Malta. We note that a Jordanian national, Shaher Awartani a/k/a Ahmad Shaher Moh'd Awartani has been reported holding a Malta CBI passport, and that sources have verified this through a review of the Malta Register of new citizens. Awartani is a principal in a Middle Eastern construction company alleged to have received $66m in stolen 1MDB funds. he is reportedly under investigation by a number of countries. 1 MDB is a state-owned fund intended to perform good works in Malaysia. Awartani is reportedly a partner of the UAE Ambassador to the United States, who has also been linked to the 1MDB scandal. When the news that Awartani held a Malta CBI passport, and was involved in the 1MDB theft, appeared in Malta's press, many Maltese nationals openly questioned how he had ever passed the due diligence investigation necessary to qualify for a passport, as his passport was issued years after the scandal broke. 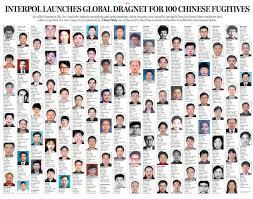 There are ongoing criminal investigations in the United States, Singapore and Switzerland. Awartani's relationship with the principal plotter, Joh Low, was exposed when an unknown party stole a large number of emails between the two of them, as well as the Ambassador, and other individuals suspected of having received a portion of the stolen funds. We wonder how many other players in the 1MDB theft hold Malta CBI passports ? 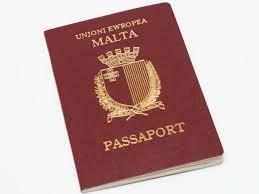 WANT TO KNOW WHICH OF YOUR MALTESE BANKING CLIENTS ARE RUSSIANS WITH CBI PASSPORTS ? Malta, unlike the other Citizenship by Investment (CBI) jurisdictions, actually publishes the names of its new citizens. 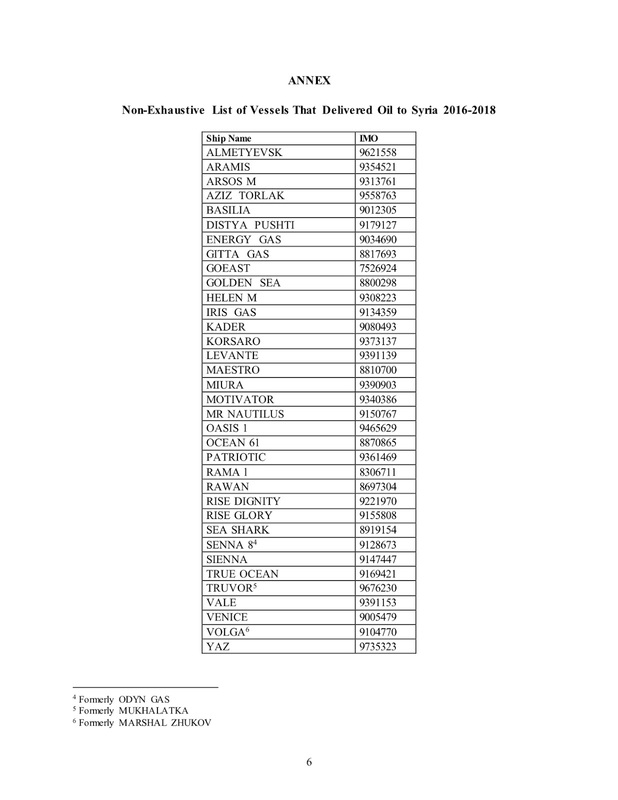 If you review the list*, which came out at the very end of 2017, you will notice that the vast majority of CBI passport holders have Russian, or Middle Eastern Arab, surnames. It makes you want to run all the names, more than 2000, against your client list, doesn't it ? 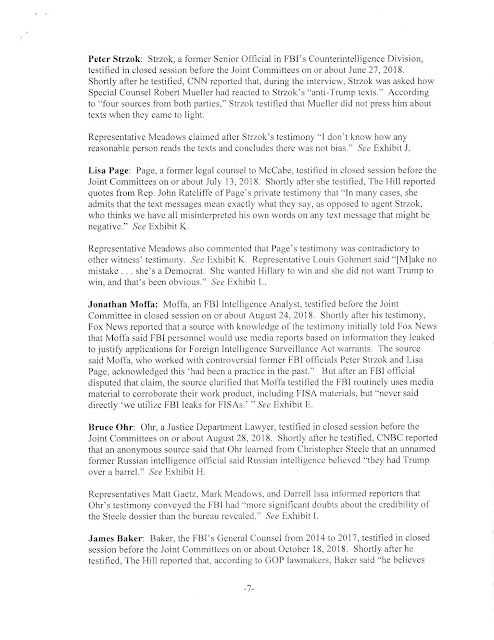 The pages in the 100-page document that lists the CBI names run from 16 to 50. 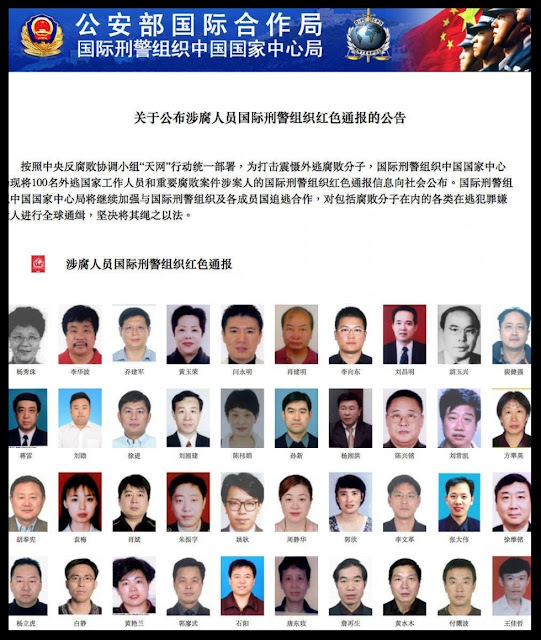 Note: there are also a small number of names of individuals who were naturalized, not CBI citizens.